Norm started in Agriculture by pulling weeds at his Dad's nursery when he was five. After receiving a degree in Business Accounting and Finance at USC, he went into the family business as the Treasurer, working for 14 years to expand the business. In 1980, Norm was invited to run for a board seat at the Orange County Farm Bureau, eventually serving as President in the early 90's. After a change to a position with Monrovia Nursery Company, Norm served on the CFBF Board of Directors from 1993 - 1999, and then for a second term starting in 2003 - 2010 (Norm has the distinction of serving the longest of any Director on the State Farm Bureau Board). Over the years, Norm has gained experience with Agricultural issues on both a statewide and national basis, traveling to Sacramento and Washington, D.C., to lobby legislators and regulators. 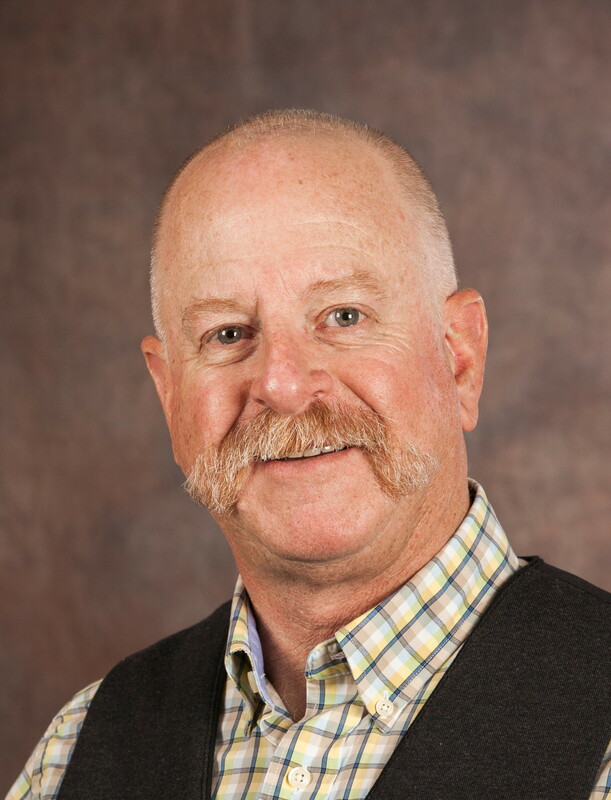 Active in policy development and commodity advisory committees at CFBF and AFBF, Norm understands the issues facing California Agriculture and the challenges that today's economics bring to farmers and ranchers. His nursery work experience has varied over the years in the areas of finance, technology, and nursery production planning, in addition to pulling weeds. Recognitions include being named Credit Executive of the Year by CMA Business Services, Los Angeles, and Volunteer of the Year by the California Foundation for Agricutlure in the Classroom. Norm has served on numerous committees for California Farm Bureau Federation, including Chairman of the Finance Committee and three yeras on their ad-hoc Membership Committee. Locally, Norm served six years on the Board of Directors of the Salinas Valley Chamber of Commerce and was Chair for 2015, participates in the Monterey Peninsula Chamber of Commerce's Government Affairs Committee, serves on Board of Directors for the Monterey Peninsula Taxpayers Association, Central Coast Community Health Care, Monterey County Convention and Visitors Bureau, was selected to serve on the Community Advisory Council for Monterey Bay Community Power, and is active in his Parish at San Carlos Cathedral. He is a past President of the Nursery Growers Association of California, former Chair of the California Association of Nurseries and Garden Centers' Trade Show Committee, and founding Booster President of Santa Margarita Catholic High School's Marching Band. With the formation of the local sustainable groundwater agency, the agricultural associations of Monterey County came together to form an organization dealing strictly with groundwater sustainability, the Salinas Basin Agricultural Water Association. Norm serves as the founding President of this new organization. Norm is native of Orange County and currently resides in Pacific Grove. Married to Marcha, a registered nurse and Monterey Bay Aquarium volunteer, they have two married daughters, one a field biologist with Oregon Fish & Wildlife and one a critical care nurse in Central Oregon. Norm enjoys walking and hiking, gardening, rock 'n roll and movies, an occasional golf game, and traveling to new destinations. Kaiti joins the Monterey County Farm Bureau after working as an agriculture education instructor in the Bay Area for three and a half years. Kaiti’s journey in the agriculture industry began when she participated as a member of the FFA (Future Farmers of America) throughout high school. Her passion for showing livestock led her to volunteer work at the local Santa Clara County Fair, where she was eventually hired as the Livestock & Competitive Exhibits Manager. While working at The Fair, Kaiti attended California State University, Fresno where she graduated with a Bachelor of Science in Agriculture Education as well as multiple teaching credentials. As an agriculture teacher, Kaiti taught various subjects including agriculture biology, soil chemistry, Ag sales and service, agriculture earth science, floral design and veterinary science. She also coached multiple career development and public speaking teams while advising and managing the school farm’s various livestock units and show teams. During this time, Kaiti served as the secretary, treasurer and president of the section’s California Agriculture Teachers’ Association and was recognized as the Sectional Star Advisor. In her extra time, Kaiti works as an independent florist out of her home town of Morgan Hill. She enjoys creating custom floral arrangements for weddings, banquets and other events in the area. She continues to volunteer her time at the Santa Clara County Fair and with the local FFA programs. Kaiti also enjoys drawing and painting, hiking, running, gardening and traveling.